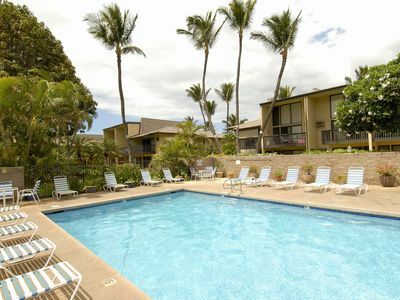 Kauhale Makai Resort (Village by the Sea) has just about completed a major improvement project. There is some landscaping work in progress. 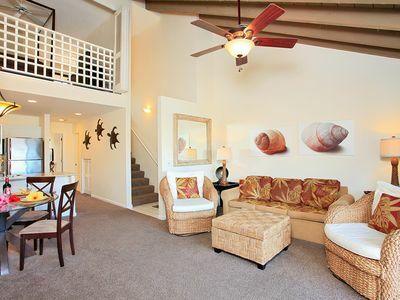 Come enjoy the newly spruced up resort. 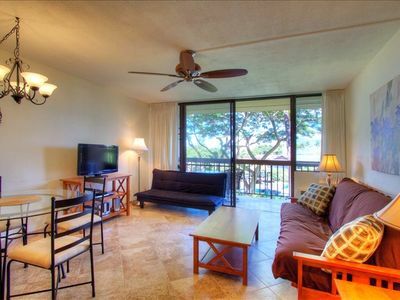 Our beautifully renovated condo at Kauhale Makai is the perfect place to come enjoy all that Maui has to offer. 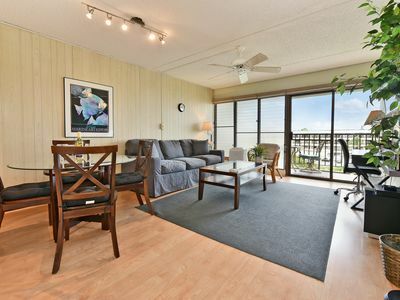 The first floor condo has tile floors throughout, tile shower, great furnishings and is in immaculate condition. 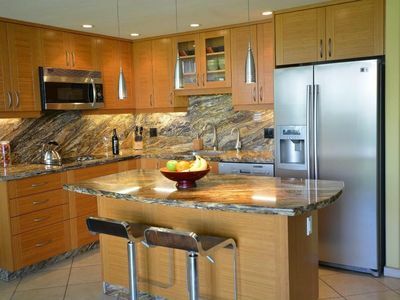 The kitchen features granite counters, all major appliances and is very well stocked with kitchenware. Cal King bed!. Free WiFi. Free Parking! 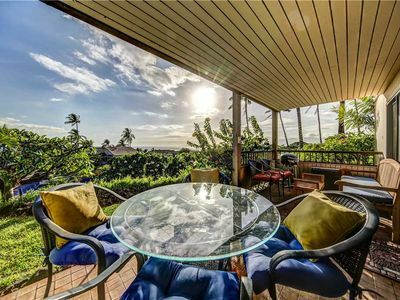 The condo is situated on the preferred 'interior' side of the Plumeria Building with easy access to the swimming pool, Jacuzzi, gas bbqs and putting green. 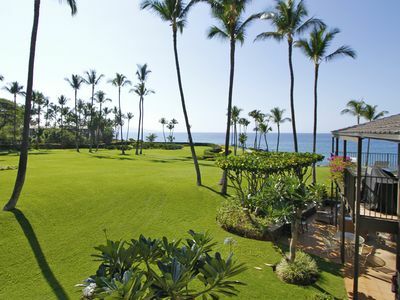 Nicely landscaped gardens surround the Resort. 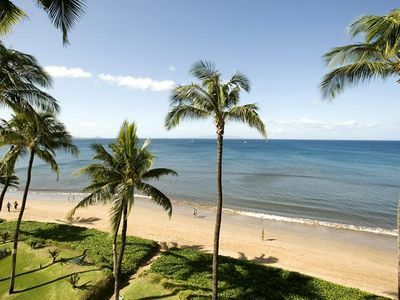 The Kamaole Beaches are a short two mile drive South of Kauhale Makai. 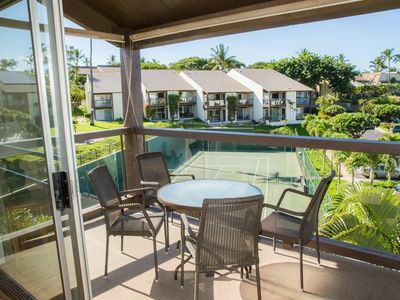 Guests are welcome to use the tennis courts adjacent to the resort. 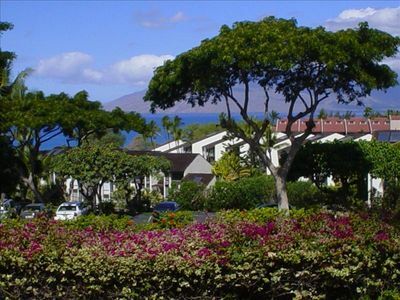 Kauhale Makai is centrally located near several golf courses, diving spots, restaurants and shopping. 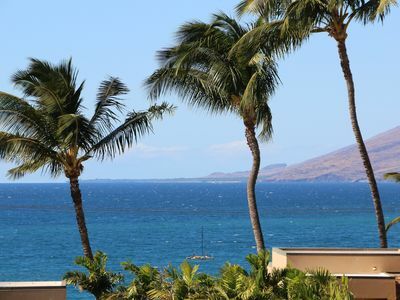 For those interested in windsurfing, kitesurfing or stand-up paddling this is a GREAT location, launch in front of the property (weather permitting). 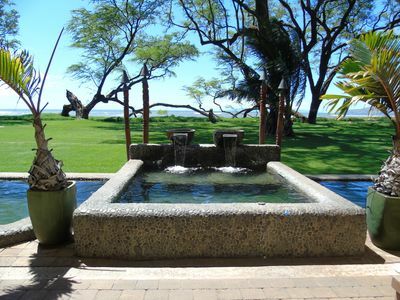 Your personal concierge is available in the Lobby to assist with booking your Maui activities. No Reviews September 2015 - August 2017 as we had a Long Term tenant. Please email or call for additional information. 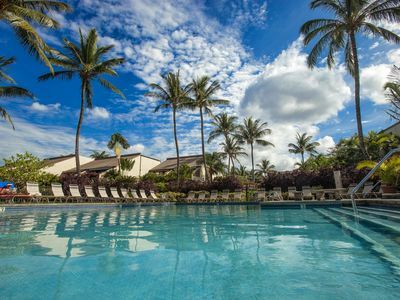 Come enjoy Paradise!! 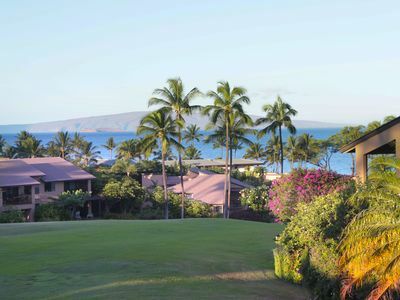 Maui - No Ka Oi!! 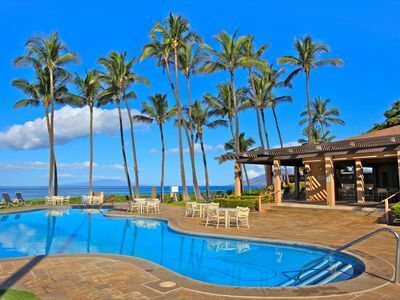 Maui Is The Best!! 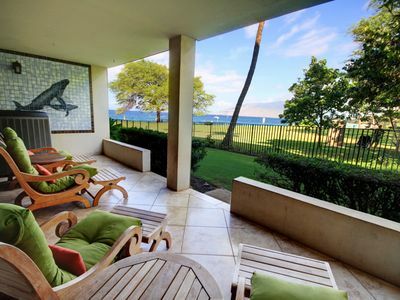 Panoramic Ocean Views: Watch Whales and Sunsets from Your Private Lanai. 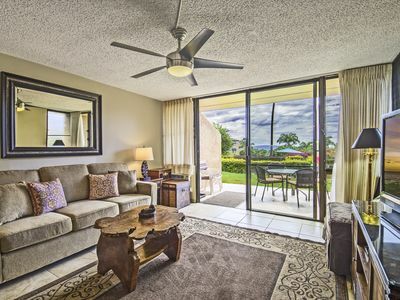 Maui Kamaole - Stylish Designer Condo with Lots of Extras! 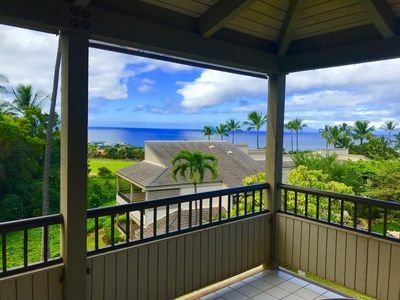 April 2019 Discounts available Now ~ Prime Time Ocean View ! 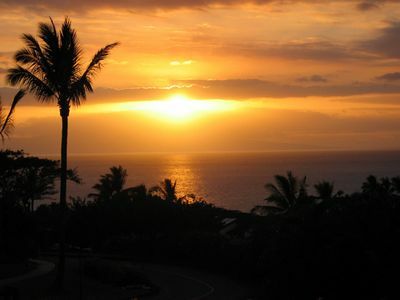 Enjoy Sun Rise over Volcano & Sunset over Ocean from our Lanai! BEST VIEWS!! 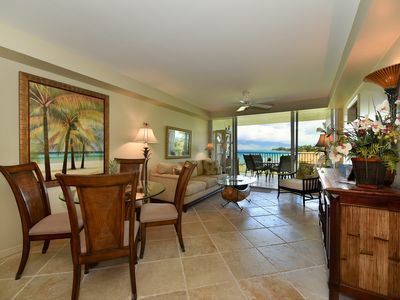 Beautiful 2 Bdrm Oceanfront Condo! 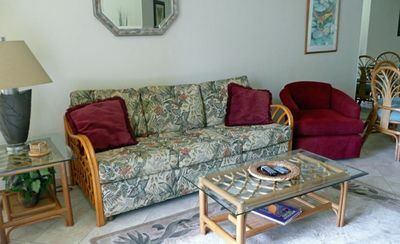 Check out our May rate special! !